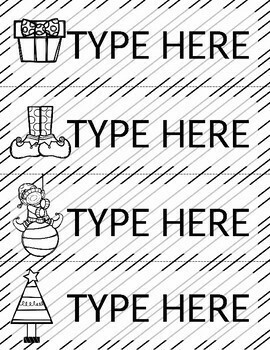 Customize with your choice of font! Edit the slide you want to use and print custom slides! 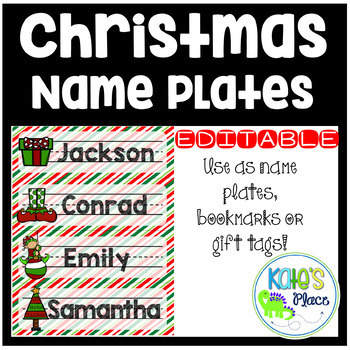 *Use as desk name plates during the holidays! 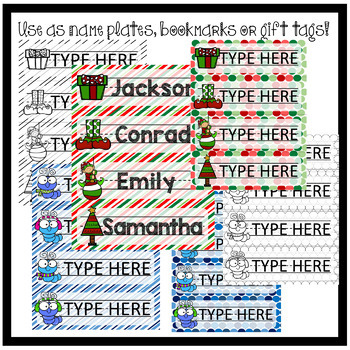 Have students color their own name tag or print colored option. 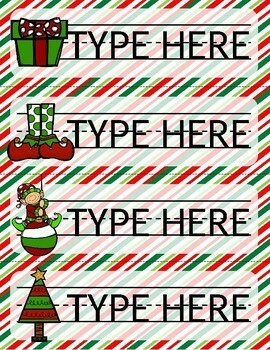 *Add as a bookmark to a $1 Scholastic book for a personalized gift to your students!